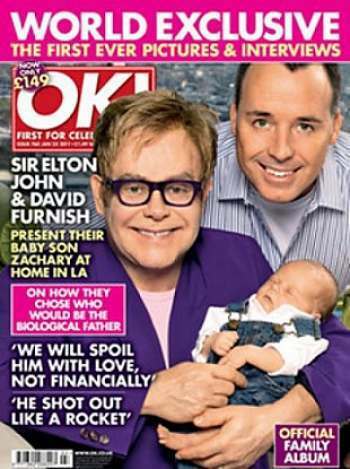 ELTON John and David Furnish’s baby Zachary is not acceptable viewing for the people of a Harps supermarket in Mountain View, Arkansas. 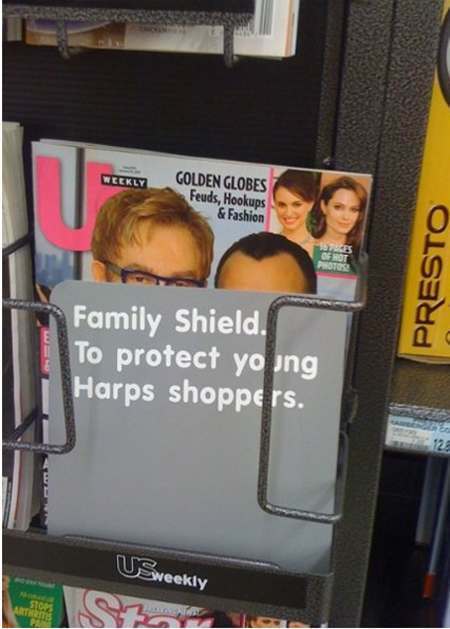 The US magazine in which they showcase their child to the planet has been encased in a protective sheath, known locally as a “family shield“. So, who are the leaders of Harps? Kim and his wife Karen live in Springdale and are members of First Baptist Church of Springdale. The church is part of the Southern Baptist Convention. Homosexual is a chosen behavior not a discovered sexual orientation. A child is set up as a result of poor parenting to make them more likely to choose to become homosexual. Homosexuals can convert to heterosexuality through prayer, becoming saved. He serves on both the boards and executive committees of the National Cooperative Bank, the National Grocers Association, Associated Wholesale Grocers, as well as the Elder Board for Fellowship Bible Church. He attends Fellowship Bible Church in Lowell. The Fellowship Bible Church also holds the view that homosexuality is a lifestyle choice and gayness can be caught and cured.